We have been taking our Children to CCK for over 10 years now. I have even taken some classes myself. This is a great place to learn practical self defense. The atmosphere is great and the owners are the nicest people you could meet and will bend over backwards to help you out. 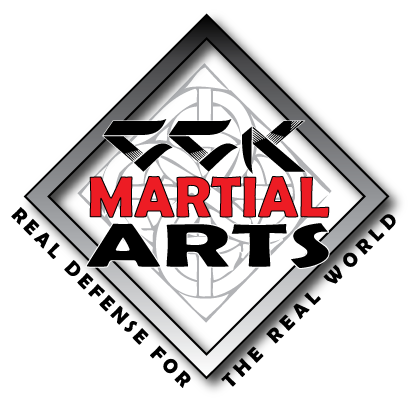 The rates are reasonable and they won’t try to rip you off with overpriced belt test and long contracts.Whether you are looking to learn to protect yourself, get some exercise, or enter your first cage fight, they have something for you. We have taken our son here for years and to be honest it has taught him more in Martial Arts and Wrestling than I could ever dream to. My son is so proud to wear the CCK sweatshirt and it’s more than a place to go train for him, it’s a culture and family for him. Thank you to the family, Josh and others who have worked with my sons development, without you he would not be the Brady we know and love today. Our daughter has been attending classes here for the last 4 years and we absolutely love it. Her skills and confidence have grown tremendously and above all else it is lots of fun. Mike and all the other coaches are very dedicated and supportive of all the students. Mike and Teresa provide such a positive environment and we would never consider going anywhere else. Thank you for your continued dedication! After 5 years with CCK, I can say that it’s not like any other martial arts place around. Mike and his family possess a genuine enthusiasm for what they do that comes through in their efforts with the kids. Unlike so many other places where, miracle upon miracles, at the end of your 3 year contract you are a black belt that can’t throw a punch, kids at CCK earn every promotion they get. Mike and his staff show so much patience for the kids, they have created a healthy, safe learning environment – – the classes are worth every penny, and then some. Thank you for what you do for my son. Mike is wonderful to do business with, as he does not require a contract. My daughter and I came to him 7 years ago after an experience with a Hapkido school in Hampstead which I will not name. After our free month ran out there they wanted us to sign a long term contract at an exorbitant rate. Luckily I found CCK online, no contract, lower monthly rate, real world self defense skills, no pompous pretense, and my daughter loved it. It’s done wonders for my daughter over the years, and I would recommend the school to anyone. Mike and his family are honest, hard working folks who create a super atmosphere in which to learn martial arts. 10 stars! I can’t say enough great things about CCK. My otherwise timid daughter has learned strength, confidence and perseverance in this place. She was even the 2nd kid in her 3rd grade class (1st girl) to have a successful rope climb this month! They are a family-owned, local business. They do this for the love of the sport and the desire to help members of their community. They would give you the shirt off their back! Between credit card issues and health issues, they have gone above and beyond to make it possible for my daughter. I love these guys!!! They’re family-owned and involved in the community. The instructors truly care about every kid, regardless of level or ability. They encourage but don’t push. They understand how to harness and focus kids’ energy. Most importantly, the kids earn every stripe and every belt! My wife and I joined CCK recently. We are enjoying the instruction, the atmosphere and the overall experience!! Would recomend to all ages! !